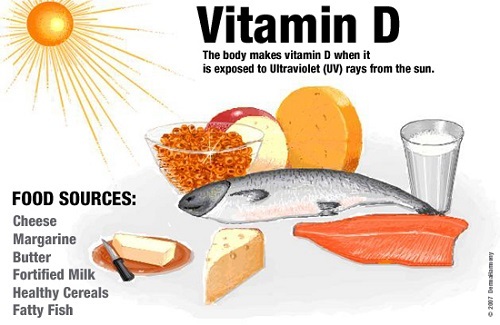 Today we hear a lot of people saying that they have very low Vitamin D. During our syllabus we have heard that the people who suffer from a deficiency of vitamin D suffer from rickets. But we never took that seriously. With the current lifestyle pattern, we hardly think about vitamin D. Usually morning starts with ample time spending with the mobile phones be it in loo’s or bedroom. After eight or ten hours of sleep, it becomes mandatory to spend some time with mobiles. After that, you realize its late and then you need to rush to get fresh, have breakfast and rush to office. Then you take a bus or cab and rush to the office. After reaching office you are constantly under the surveillance of AC for the next 8 hours. The entire office is covered and we hardly get exposed to the sun. As soon as you return from office the sun is done for the day. With flat pattern and high-rise building, the sun cannot find its way into your homes. Technically we all try to protect ourselves from the sun. Let’s find out how important it is? 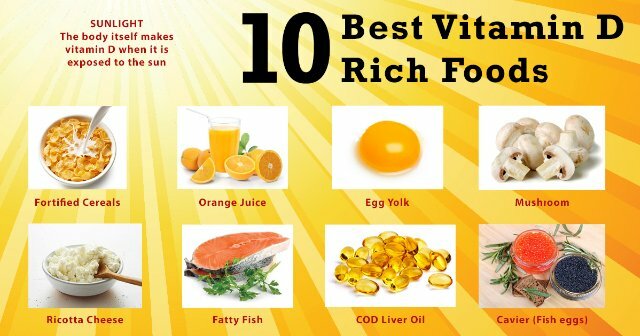 Vitamin D is also known as the sunshine vitamin is produced when exposed to the sunlight. This is the natural source from where you can gain vitamin D.Vitamin D helps to boost your bone quality and prevents it from deterioration. Fatty fish, like tuna, mackerel, and salmon. Start Your Day With Vitamin D. Choose your breakfast foods wisely, and you can get a substantial amount of vitamin D. Most types of milk are fortified, including some soy milk. Orange juice, cereal, bread, and some yogurt brands also commonly have added vitamin D. Check the labels to see how much “D” you’re getting. If you are vegetarian the after seeing the list you will start worrying. According to NIH , 5 – 30 minutes of sun exposure is usually enough to help boost vitamin D intake. If you aren’t able to get outdoors in the middle of the day or if you’re concerned that you’re not getting enough vitamin D, include these foods in your diet: There are also fortified products these days, which technically means that it does not contain that originally while it was added during the processing. So make sure you spend some time with the sun whenever possible. Natural things always work magic.